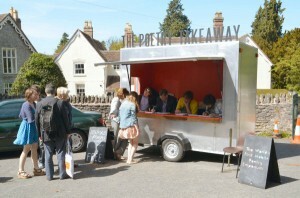 The Poetry Takeaway – brilliant! This is *the* most brilliant idea. Well done guys! Basically you go and order a poem which after a short time is delivered, performed, to you by the poet. You can then take it away if required.